When the Potawatomi arrived on the first reservation in present-day Kansas between Sugar Creek and Pottawatomie Creek, the Flint Hills around them varied widely from the Great Lakes terrain they left behind. The Citizen Potawatomi Nation Cultural Heritage Center’s West of the Mississippi gallery tells the Potawatomi story of post-removal endurance, both culturally and physically. The accent color helps visitors recognize and remember the hardships the Potawatomi faced once in Kansas. When the Potawatomi arrived on the reservation west of the Mississippi, the cold November weather and constant illness proved deadly. This exhibit features a cutout of Louis Vieux who charged travelers to cross the Kansas River along the California and Oregon Trails. Also, none of the supplies promised to them existed. For the first year and a half, the Potawatomi survived by roughing it, she added. Before the Potawatomi could plan for the future, “they needed assurance that they were going to be in the same place tomorrow,” Mosteller said. “It’s very, very hard to function when you don’t have that,” but they never stopped trying. No matter where the Potawatomi moved, missionaries accompanied them. CHC staff created the white structure in the gallery to represent the St. Mary’s Mission and Christianity’s influence. In 1839, the Tribe and Catholic Church worked together to pick the location of St. Mary’s Mission. Within a year, the Jesuits at St. Mary’s opened a school and dedicated a large chapel. “Why was the cultural loss so significant once we got to Kansas? One, because it was strategically set up to be that way, and two, we were not in the place to fight it,” Mosteller said. Before this time, the federal government wanted Tribal members to attend school to aid negotiations between the two groups. Once arriving in Kansas, “it was part of the national assimilation policy to not just send the kids to school to get educated. … It was to breed out and assimilate out their Indian-ness,” Mosteller said. Potawatomi children attended both St. Mary’s and the Baptist Manual Labor School. However, religion’s influence was not uniform across the reservation. “Some families were more on board and wanted to send their kids to get this education. Some were taken as basically orphans. Others had family obligations. And they had to balance that,” Mosteller said. Visitors can see original nails from the first St. Mary’s Mission and Mass books from the era featured next to an image of Chief Abram Burnett. “It’s hard to talk about Kansas without talking about Abram Burnett,” Mosteller said. Burnett ran a profitable horse breeding business near present-day Topeka, Kansas. Burnett’s Mound, which is the tallest point in Topeka, still bears his name. “We have this amazing image. Why not allow people to stand almost eye to eye with an image of their ancestors? It helps to bring people in the moment a little better,” Mosteller said. Burnett had specific roles in the Tribe before and after the removal. After removal, the Potawatomi continued participating in traditional crafts like beading. Burnett learned how to read, write and speak English while attending Choctaw Indian Academy in Kentucky, and because of his background, he served as an interpreter on the Trail of Death. Across from the St. Mary’s display sits a digital interactive that provides detailed information on Burnett, Vieux and other Potawatomi who ran a variety of businesses across the reserve. The interactive also features images captured by Alexander Gardner. While many artists traveling west took portraits they could sell, Gardner documented the changing landscape of the Manifest Destiny era. “When planning this section, we thought that it was really cool that one of the most famous photographers at the time actually came through the reservation in Kansas and took pictures,” Norton said. The images also provide insight into day-to-day life for the Potawatomi on the prairie. Since they were not a plains tribe, maintaining semblance of the Potawatomi’s woodland culture prior to removal proved difficult. Once removed from the Great Lakes, holding on to their true, Potawatomi selves became impossible. “We were not deep in our cultural practices on the Flint Hills of Kansas. We were roughing it and figuring it out just like everybody else moving west,” Mosteller said. “However, we were trying to do so against our will. 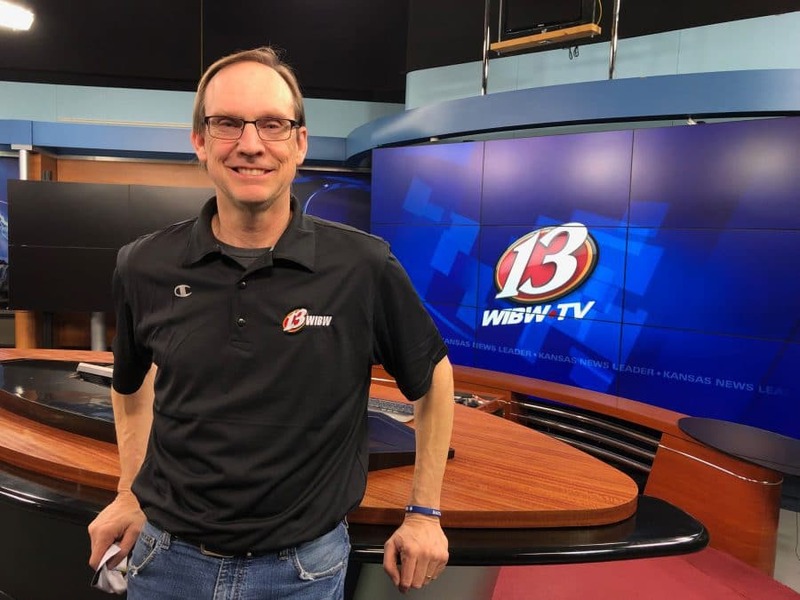 “The Oregon and California Trails came through our reservation because the Kansas River came through our reservation, and some people were able to make a profit off of it,” Mosteller said. She explained when people moved long distances, they stayed near waterways like the Kansas River to ensure sustenance for both the animals and humans making the journey. The Potawatomi settlements and reserve in Kansas often served as one of the last communities along the trails before the Rocky Mountains. By the time those moving west would reach the Potawatomi, many abandoned large items like pianos to lessen their load. “They really ended up ditching some of the things that they naively brought with them and exchanged them out for more water and flour and other goods,” Mosteller said. Several Potawatomi, including Louis Vieux, took advantage of those passing through. The gallery features a cutout image of Vieux near its entrance. He did this by charging travelers to board his ferry and cross the Kansas River. “Louis Vieux was extremely successful to where he was financially pulling in somewhere between $300 to $350 per day,” Norton said. Although some built lucrative businesses around them, “what the trails mainly brought were disease, whiskey and violence,” Mosteller said. Before the Trail of Death, numerous Potawatomi groups agreed to removals west of the Mississippi River near Council Bluffs, Iowa. The federal government removed the Potawatomi living near Council Bluffs and those around Sugar Creek to one reservation in Kansas. West of the Mississippi gallery highlights Potawatomi women’s influence in Kansas. Also, the French Metis culture influenced the Mission Band (which later became the Citizen Potawatomi) more than the Council Bluffs Band (later the Prairie Band), Mosteller said. The Potawatomi and French allied together during various wars and skirmishes, and overtime, some groups developed unique, distinctive European and Potawatomi-based cultures. The extent of this influence varied greatly based upon geographic location. The Potawatomi originating in northern Illinois and Wisconsin had fewer European influences than those from southern Michigan and northern Indiana. These differences continued after removal. As a result, the two Potawatomi groups in Kansas settled on opposite ends of the reservation. “Although a physical and cultural separation existed between the two Potawatomi groups, we were in the same basket. We were dealing with the same things,” Mosteller said. “It wasn’t like we were enemies. We had enemies, and we had common enemies. But you also can’t expect everyone to just blend together. Through these trying times, numerous leaders stepped up on behalf of the Potawatomi people. In the middle of the West of the Mississippi gallery, the CHC highlights Kack-Kack’s influence. He served as a spiritual and communal leader in Kansas. “Stories say because of his exploits in war, he was given permission to create a duck-hawk clan,” Norton said. Chief Kack-Kack had a close associate and fellow spiritualist named Witchaway, and the display next to Potawatomi leader Wahquaposhkuk’s cutout features garters created and worn by Witchaway. CHC staff and the Kansas Historical Society partnered to obtain the beaded bandolier, garters and Potawatomi Chief Abram Burnett’s cane on display. The cane pieces fit together, and a knife, called a dirk, fits into the end. Joseph Bourassa, an important Potawatomi leader before and after the Trail of Death, compiled his medicinal knowledge from both the Great Lakes region and Kansas in the medical journal featured at the bottom of this display. “These were medicinal plants that he would have harvested and concoctions that they would have made,” Norton said. CHC staff compiled images and newspaper ads from the time to highlight the impact and messaging surrounding the railroad’s expansion into the region. “To help fund the construction of these lines, Potawatomi tribal members were coerced into selling their lands to railroad companies below market value, who then sold the lands to settlers for a profit,” Norton said. In 1861, the federal government approached the Tribe about becoming U.S. citizens and allotting land plots to each member. From numerous prior experiences, Tribal leaders understood no matter where they moved, others eventually would come and take the land out from underneath them. Many Potawatomi thought U.S. citizenship provided additional protections. “The federal Indian policy has these big blanket eras: for example, the Treaty Era, Removal Era and Assimilation Era,” Mosteller explained. Allotment policies became prominent in the assimilation era. Through the Treaty of 1861, the government allowed the Potawatomi to begin the process of becoming U.S. citizens and landowners. However, the assigned Indian agent determined whether or not each Potawatomi was competent enough to become a U.S. citizen. Based upon the Indian agent’s judgment, the individual either moved on to the next step in the process, or they were cast aside. Potawatomi men and women hold specific and balanced roles within the community. This cultural foundation inspired Potawatomi leaders to fight for the women’s rights outlined in the Treaty of 1866, including land ownership and status. This amendment to the Treaty of 1861 extended head of household classification to women and young men. Motivated by these traditions and the important role of Potawatomi women throughout time, the CHC dedicated an entire exhibit within the West of the Mississippi gallery to influential female Tribal leaders. The West of the Mississippi gallery recognizes Potawatomi efforts to start anew. The exhibit includes a colored sketch of Massa who “was known as a chieftess and is one of a few women who were allowed to be on councils. She signed treaties, some of which were removal treaties. She was on the Trail of Death as well,” Norton said. 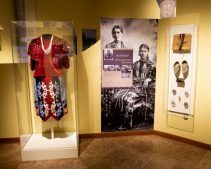 “Having a section specifically dedicated to Potawatomi women allows us to show off the beauty, power and meaning behind the clothing they wore,” he said, then pointed to the women’s regalia on display. The allotments provided through the Treaty of 1861 and Treaty of 1866 served “to minimize fulfilling the promises that were made, and it was to make our land footprint as small as possible,” Mosteller said. The treaties outlined that the Potawatomi who decided to become citizens would have two years to build farms and businesses before taxation, however, the government began taxing the Potawatomi almost immediately. Supplies and equipment promised to the Potawatomi through the treaty agreements came late or not at all, and by the end of 1868, most Potawatomi lost their Kansas allotments from unpaid taxes. “There are a lot of moving parts to it when dealing with federal laws, treaties and so much upheaval in our legal status in such a short period of time,” Mosteller said. The video featured in this gallery provides imagery and details into the repercussions of the Treaty of 1861. “It was really important for us to do a video here because it is such a complicated portion of our history, but you really can’t understand who we are now without getting the basics of it,” Mosteller said. The three decades in Kansas proved daunting. Not only did the Tribe have to figure out how to survive as Eastern Woodland people on the prairie, they experienced large-scale deaths due to disease, continued land loss and negative federal policies, including assimilation, acculturation and allotment. In order to continue as Citizen Potawatomi, Tribal leaders began looking for opportunities outside of Kansas to build new, better lives.